The Cognitive approach combined with the Constructive and Cooperative practices enable effective teaching and meaningful learning - with Common Core or any other curriculum. There is evidence of changes in classrooms all over the world rising to represent a paradigm shift in mainstream education and challenge the standardized view of learning. 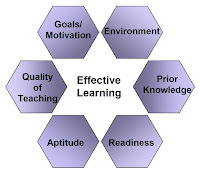 The focus in education is moving towards supporting students individual learning processes, rather than emphasizing the importance of teaching and information delivery -- which is just a tiny part of the whole teaching-learning interaction cycle (the other parts are feedback, assessment and transfer; sometimes also evaluation for external stakeholders). Receiving information to be learned is just the beginning of the learning process! We need to know how learning happens, so that we can enhance it in the classrooms. In other words, rather than assuming that it is a teacher's job to impart wisdom to students who will somehow magically absorb it, the focus is in the teacher's ability to guide the students into building a knowledge base of their own. One part of the 21st century learning and teaching is asking non-googlable questions and emphasizing applications of learning over reproducing given answers. Students need to learn HOW to think instead of being taught WHAT to think. There is more information (and misinformation) available than ever before in the history of humankind and students need to be prepared to find the important information they need. This supports students own interests and curiosity, too. Working with students' need to know makes learning and teaching much more meaningful. Meaningful learning is built on interactions between students and teachers. The cognitive approach combined with the constructive and cooperative practices enable effective teaching and meaningful learning. C1 - Cognitive approach makes teaching and learning easy and effective. Viewing learning as a student-centered and dynamic process where learners are active participants, it strives to understand the reasons behind behavioural patterns. Instruction focuses on application and transfer of the learning, supporting and building students' higher order thinking skills. Learning strategies and metacognitive skills are discussed frequently because this helps students to understand how to best support their own learning, and what is needed for becoming successful in learning and life. Teachers provide graphic organizers and models, and discuss the hierarchy of the concepts in the learning material. C2 - Constructive practice emphasizes the learning process and students’ need to construct their own understanding. Delivered or transmitted knowledge does not have the same emotional and intellectual value. New learning depends on prior understanding and is interpreted in the context of current understanding, not first as isolated information that is later related to existing knowledge. Constructive learning helps students to understand their own learning process and self-regulate and co-regulate their learning in the classroom and beyond. Regular feedback,self-reflection and joint reflection are important! Teachers individualize their practice and help students to connect new learning to their existing personal knowledge. Self-assessments and rubrics are regular practices. C3 – Cooperative learning is about providing a collaborative learning environment, reflecting the relation nature of learning. 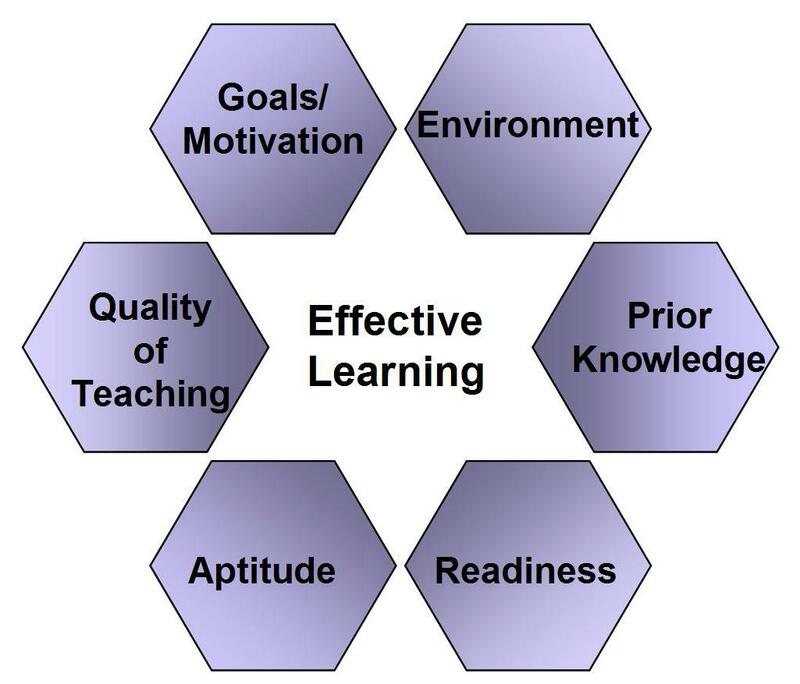 Chooisng to use this basic pedagogical structure automatically supports students' learning process. Cooperative learning environment is inclusive, and it is designed to make learning easier and enjoyable. Teaching and learning become meaningful for both teacher and students, because there is no need for the power struggle in the emotionally safe classroom. From students perspective cooperative learning is about behaving responsibly and being accountable for your own learning. The guiding principle for cooperative learning environment is to have learning-centered orientation in planning, activities, and assessment. Students learn from each other and engage in collaborative meaning-making. Every student has their own strengths and areas to grow, and growth mindset is openly discussed in the class. What can I do to help you in learning and teaching? Learning and teaching are two completely different things. They are not the two sides of the same coin! They are two different processes that are often put into the same frame of reference (education) and sometimes even happen in the same physical space (classroom). Learning can be defined as the processes of acquisition and elaboration (Illeris, 2003), and what is referred to teaching often is just delivery of information (a monologue, for example lectures, either in class or online), and measuring memorized pieces of that information (tests, exams). Teaching becomes learning facilitation when the teacher and the student engage in a dialogue. Teaching should not be force-feeding facts to students, but helping them to understand bigger entities and how the details connect to the higher level concept. Usually people are curious, and learning is a survival skill we all were born with and used freely during the early childhood. When learning is seen as an in-built force within your students, the teacher's job just became much easier in an instant. By remaining as a facilitator for learning and supporting students when they are constructing their own knowledge, the teacher has taken a huge step towards utilizing the learner's autonomy. Helping students to learn requires a dialogue, because learning grows in interactions. Students are led into the learning process and given freedom to choose (within pedagogically appropriate boundaries) how to construct their own knowledge and which learning activities and strategies to use in order to reach the mutually discussed learning goals. Ideally, students are also allowed to choose the assessment methods most suitable for their needs, but the teacher should lead the students utilize wide selection of assessments. In such learning environment students' learning is effective and authentic, building on higher level thinking skills and linking new information into already existing structures of personal knowledge and understanding. This is what deep learning looks like. Thinking from the viewpoint of teaching being equal to learning, things appear to be very different. It seems inevitable that the teacher must somehow capture and keep the attention of the students, in order to engage them in learning materials. Rewards, points, grades and penalties are utilized to focus students' attention towards the desired learning objective, and students are led through an instructional sequence with the hope that it would change also there thinking and not just their behavior. Rote memorization is the most commonly used learning strategy so learning loss becomes a real problem after a while. Student motivation is one main contributor to students' educational success. From a pedagogical point of view students are either seen as intrinsically motivated learners and subjects of their own lives and learning, or as objects of teaching and extrinsically motivated into performing tasks that the formal education provides them with and expects them to pass. Autonomy, competency and relatedness - the three principles of self-determination theory - are also are basic human needs. Providing ample opportunities for students to choose, grow and relate makes learning easier and teaching more successful. Let me help you choose better learning/teaching strategies! Niemiec, C. P., & Ryan, R. M. (2009). Autonomy, competence, and relatedness in the classroom: Applying self-determination theory to educational practice. School Field, 7(2), 133-144. Find it at Powells , or take a look on Barnes and Noble. If you reside in the Europe, then Waterstones or AmazonUK might be a better choice. Suomessa ja muissa Pohjoismaissa myos Adlibris on vaihtoehto.